Melilla, Spain, April 24th 2014. A group of about 50 subsaharan migrants stay atop the border fence between Morocco and the North African Spanish enclave, in the sector called Barrio Chino. 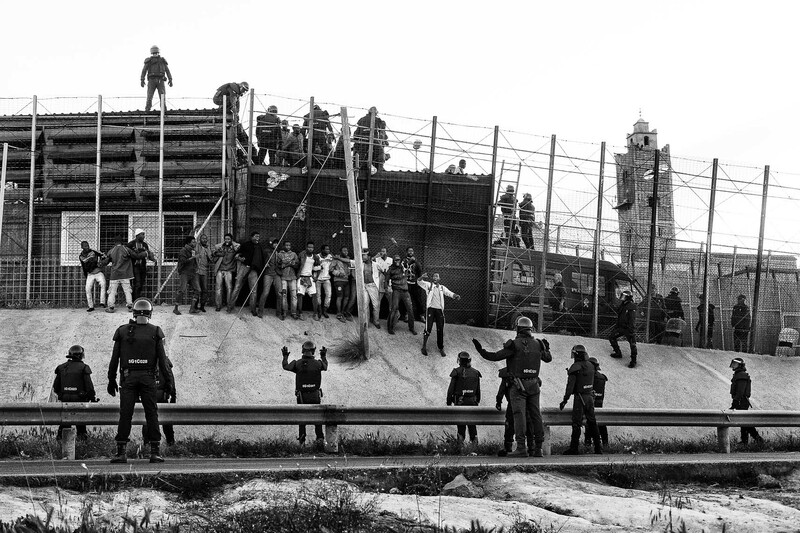 A small group of about 30 persons begin to climb down the fence after a failing negotiations with the Guardia Civil, who, despite the interanational asylum seeker and inmigrations law, began to send the migrants back to Morocco.